APAN promotes solidarity and aid targeted at households who live the experience of pregnancy stopped abruptly and emotional distress and property damage caused by the long hospitalization of their child. Currently the APAN has many members and supporters including those belonging to other Associations with which it interacts and collaborates. 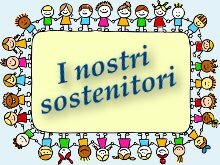 The project “The care of the infant and his family” is intended for families of children born preterm or with disease at birth, admitted at the U.O. of Neonatologia dell’Ospedale S. Chiara of Pisa. The Project is funded by the Region of Tuscany. The lodging house “L’isola che c’è” is located within the Hospital S. Chiara of Pisa and is a space dedicated to mothers who have their child admitted in the department of Neonatology. The house offers 9 beds in comfortable rooms and has a kitchen and a large lounge. In addition, it features the “Room of Sunflowers” (Stanza dei Girasoli), the space provided technical aids and sterilized materials needed to pull the mothers milk and a ground-floor room where you can host your family daily. The mothers have the key to their room and they can decide for themselves the times and dwell times. It’s a half managed structure: every morning there are operators for their hospitality and assistance and is offered for those who require it, the advice of two social workers and a psychologist. All services offered are free of charge.